I was speaking with Jeff Bartfield of Proximo Spirits (see cover story) about different new products on the market and the topic of Gin came up. He asked if I had ever heard of Malfy Gin from Italy. “No, I haven’t,” I replied. Well, that was all it took for him to tell me the story of a lemon-flavored Gin from Italy’s Amalfi Coast and the man responsible for finding and importing this gem, Elwyn Gladstone. It went something like this. Elwyn Gladstone worked at William Grant & Sons for eight years or so. He was in charge of new brands and new brand development for the company, outside of the U.S. There he had the pleasure to work with dynamic brands such as Hendrick’s Gin, Sailor Jerry Rum, Kraken Rum, Stranahan’s Colorado Whiskey and many others. While at William Grant & Sons, Gladstone also worked with Mark Teasdale, who is now head of Proximo Spirits. After eight great years with WG&S, he decided to take up residence at Proximo Spirits, which was then a very small company with about five employees. It has grown over years to become a very big company with a lot of success stories, including regaining the distribution rights for Cuervo Tequila and setting it on a growth cycle in the US. But Elwyn had always wanted to strike out on his own, so after many years with Proximo Spirits, he finally felt the time had come. He left and, with a leap of faith, proceeded to set up a small company, naming it Biggar & Leith. The name was based on an 18th century wine and spirits company owned by his great-great-great-great grandfather, Thomas Gladston. (Another ancestor of Elwyn’s is William Gladstone, a four-term Prime Minister of Great Britain). Elwyn’s idea is to find smaller, family-owned distilleries in Europe that have amazing and real craft credentials, completely different from anything on the market, and develop them. His first brand is Malfy Gin. Malfy Gin is distilled in a family-run distillery in Moncalieri, Italy by the Vergnano family. 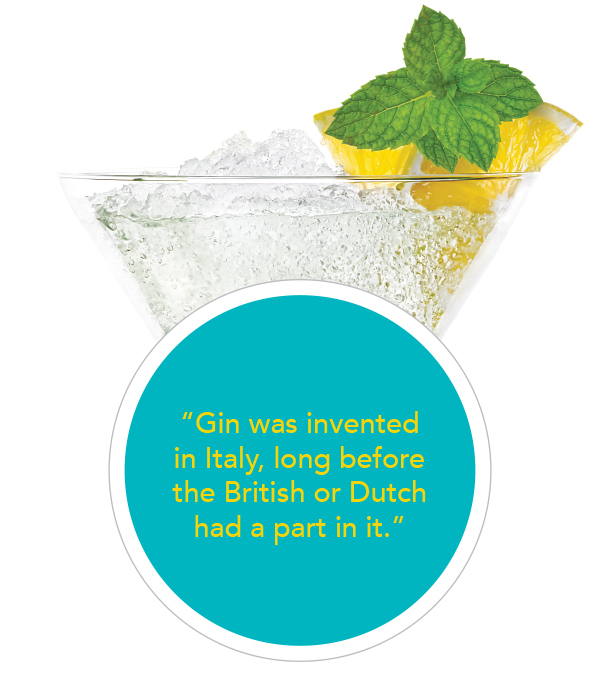 “We were researching the history of Gin – and there it was, staring us in the face: Gin was invented in Italy, long before the British or Dutch had a part in it. However, it wasn’t until we tasted the Vergnano family’s Malfy GQDI that we knew we had found a Gin that represents the literal distillation of Italian quality, culture and craftsmanship. The infusion of the local botanicals and Italian lemons, which themselves have a rich history in Italian culture, gives Malfy a distinctive twist,” says Elwyn Gladstone, founder of Biggar & Leith. 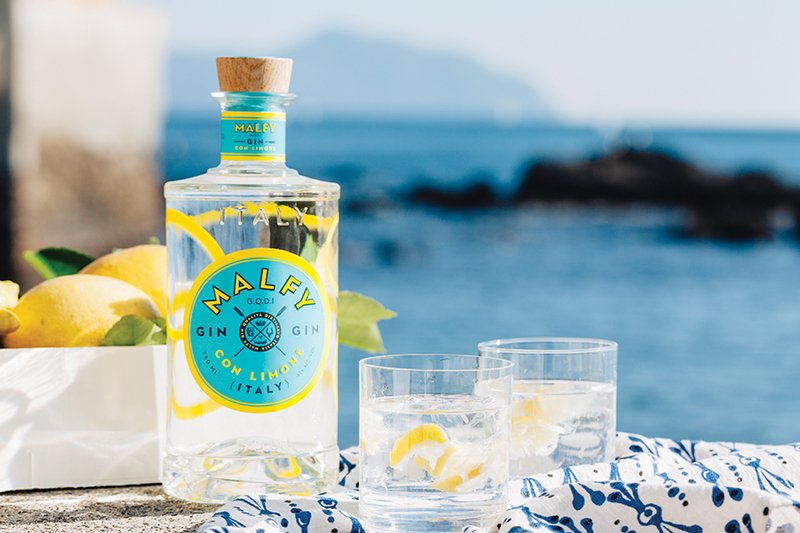 Although the spirit is infused with Italian juniper and five other botanicals, it is the infusion of the famous Italian coastal lemons, including some from the Amalfi Coast, that give Malfy Gin its unusually fresh and zesty aroma, and palate that distinguishes it from other traditional, juniper-heavy Gins. The Gin is distilled in the Vergnano family’s traditional vacuum still and is bottled at 41% alcohol by volume. Malfy Gin lends itself to many delicious cocktails and mixed drinks. It is perfect for a classic Gin & Tonic (with a slice of lemon, of course) or a Malfy Martini. Try using it to make a Negroni for a real treat!